Maybe you saw alpaca investments mentioned in the Wall Street Journal. Or maybe you have seen the alpaca ads on TV, or at a visit to the Smithsonian National Zoo in Washington DC (Our Boys' by the way). Sure, they're cute and hug-gable, but what is an alpaca, and why all the "Hoopla" about alpaca farming? If you've been fortunate enough to walk amongst a herd of alpacas, you know the sense of tranquility that washes over you as you watch these beautiful creatures. Their large expressive eyes, serenity and gentle nature make them an endearing and strongly marketable animal to invest in. Alpacas are truly the world's finest livestock investment and the industry is growing at an incredible rate. The US Alpaca Industry is squarely positioned to be a world leader in the alpaca fiber and genetics market. There are also excellent business opportunities and tax advantages available to alpaca breeders. Alpacas are domestic members of the camelid family from the Altiplano region of the Andes in South America, prized for the production of fine luxurious fleece. Alpacas were once thought to have been developed from the llama, which was acknowledged to be the domestic form of the guanaco. All four of the South American camelids will readily interbreed in captivity and produce fertile offspring, adding to the confusion. Archeological finds and recent advances in DNA analysis have confirmed that the alpaca was instead developed from the vicuna. The native peoples of the Andean mountain regions of Peru, Chile, and Bolivia depend on the fleece and meat of their alpacas for survival in a harsh region where little else grows. 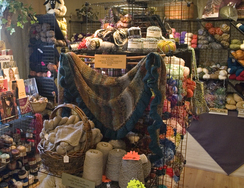 The spinning, dying, and weaving of alpaca fiber is the basis of a rich cultural tradition of textile production. The alpaca was seen as a divining gift. Use of their meat and fiber allowed people to survive in an area that many would consider almost uninhabitable. The alpaca's primary purpose has been as a fleece animal for over 5000 years. 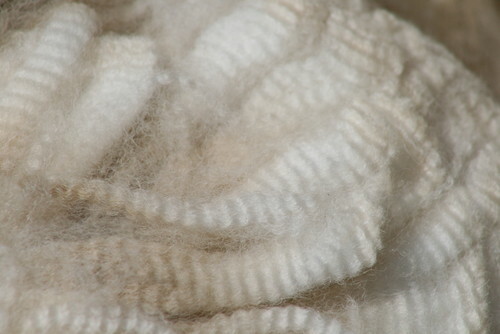 They produce one of the world's finest and most luxurious natural fibers. It's as soft as cashmere, warmer, lighter and stronger than wool and has the widest range of naturally occurring colors of any fiber animal in the world. There are 22 natural colors with hundreds of variations and blends. 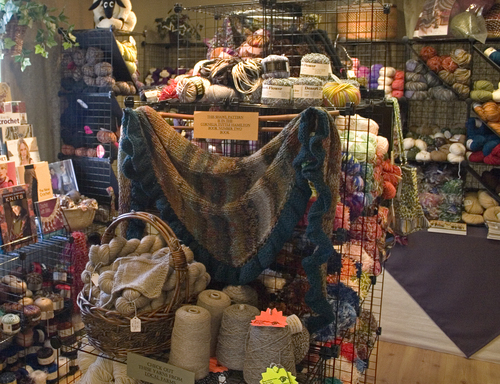 Alpaca fiber is also 99.9% hypoallergenic. The best grades of alpaca fiber were once reserved for royality, nobility and ruling classes of the native people, before the arrival of the Spanish. Coarser grades are used to make rugs, ropes, and other textiles for heavy uses, as they were in ancient times. New to most North Americans, alpaca fiber has been cherished by Europeans since the 1800's, and later by Japanese, French and Italian fashion designers. Sustainably produced alpaca is a wonderful natural alternative to petroleum derived artificial fibers, like polyester and nylon. Even fibers like 'soy silk' and bamboo 'silk' are manufactured using chemically intensive processes. Alpaca fiber requires only a gentle washing and is enviornmentaly green. 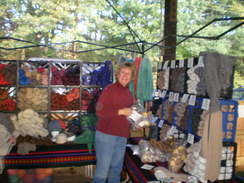 Alpaca Fiber is Wonderful - Naturally! Basic Care "The Green Alpaca"
Alpacas are low maintenance and easy on the land (padded feet not hooves). An acre can support 7 to 10 alpacas unlike other species like cows at 1 per acre or sheep at 4 to 6 per acre. Facilities for alpacas do not need to be fancy. A three sided shed opening on the south to a paddock to provide shelter from wind and rain works well. An acre or two of good grass will provide more than enough grazing for several alpacas, especially if it is divided to allow one area to recover while they use the other area. Simple woven wire on metal 'T' posts will keep alpacas in and predators out. Guardian dogs, a guardian llama or a strand of electrified wire around the top and bottom on the outside of the fence will deter most predators. In the winter, an average bale of hay (usually orchard grass) will feed each alpaca for a week. Some hay should also be available in the summer. Minerals and fresh water are provided year around. A 1/2 cup or so of bagged alpaca feed per day can also be given, depending on the quality of the available forage and the needs of the alpaca, but non-breeding males may not need the extra protein or calories. Taking care of your investment is necessary. Herd Health is performed every 45 days. This includes a general overview of the animal for potential or immediate problems. Trimming their toe nails and teeth when needed. Weighing and recording the information to compare with your previous herd health records, looking for changes in the health pattern of the alpaca. Treating with a dewormer to protect them from unwanted parasites until the next herd health. The care is easy, they are hardy animals, with a little tender loving care will provide many years of production and personal enjoyment. Detailed care information and great mentoring is provided with your purchase and beyond. And we are always available to answer your questions. If you are successful then we are successful and it is our goal to help you surpass our success. 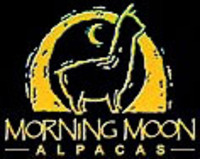 If alpacas are in your future, Morning Moon Alpacas can and will help you achieve your dreams and goals! If you're looking for a promising investment, a lifestyle change or a wholesome family business, Morning Moon Alpacas has exceptional huacaya alpacas and the experience to make your future endeavor a success!